Department of Environmental Science 1, Bareilly College, Bareilly - 243 005, Uttar Pradesh, India. Department of Environmental Science 2, Babasaheb Bhimrao Ambedkar University, Lucknow - 226 025, Uttar Pradesh, India. ABSTRACT: Stannous chloride (SnCl2), an inorganic salt and Dimethyltin dichloride (DMTC), the organic species were found to influence the survival and nitrogen assimilatory system of Nostoc muscorum. A difference in the survival fractions suggested for differential susceptibility of the strain to the toxic effects of the either tin species. Growth of the Nostoc muscorum cells, measured as a function of graded concentration of SnCl2 and DMTC, both in the absence and presence of exogenous nitrogen sources, revealed an increased tolerance of Nostoc cells in the presence of nitrite (NaNO2), next to nitrogen-fixing condition. DMTC induced decline in the Nitrate Reductase (NR) and stimulation in the Glutamine synthetase (GS) activity indicated nitrogen starvation like condition. On the other hand, a vice versa result obtained with SnCl2 suggested for toxic effect of the inorganic nitrogen species. INTRODUCTION: The use of tin and organotin (OT) compounds in fungicides, acarisides, disinfectants, antifouling paints including a variety of agricultural applications have been found to pose serious environmental threat 1. An extensive use of organotin compounds as antifouling agents over the recent years are considered as important pollutants in aquatic ecosystems 2, 3. Methylated tin species are also formed in the environment through the methylation of natural sources of tin, but they are also introduced into the environment via various industrial and anthropogenic activities 4, 5. The known toxicity potential of organotin compounds has given rise to increasing concern about the environmental impact of these substances and their effect on microorganisms 6. Since tin is one of the metals commonly found in sea water an attempt was made to investigate the dependence of tin toxicity on chemical speciation. Nostoc muscorum is a heterocystous cyanobacterium which offers an appropriate model system for studying the structural and functional changes induced by organic and inorganic tin species. In the aforesaid context, a comparative evaluation of the effect of SnCl2 and DMTC on diazotrophic growth and nitrogen metabolism of Nostoc muscorum was studied. Although, it appears that organic tin compounds poses significantly greater threat in aquatic environment than less bio available inorganic forms 7. An estimation of toxicity of inorganic tin has to be related also to its organic tin species 8. MATERIAL AND METHODS: Organism and growth condition: Unialgal culture of Nostoc muscorum was obtained from the National Centre for Conservation and Utilization of Algae, Indian Agricultural Research Institute, New Delhi, India. It was axenically grown in steam sterilized modified Chu-10 medium 9. The culture flasks were incubated at 25 ± 1 °C and illuminated daily for 14 hours with cool, white fluorescent tubes emitting 10 Wm-2 light at the surface of the culture vessels. Measurement of Growth: Growth of Nostoc muscorum was measured in terms of turbidity at 665 nm wave length (UV-Spectrophotometer 1601 Shimadzu, Japan). The effect of SnCl2 and Dimethyltin dichloride (DMTC) on the growth of Nostoc muscorum was monitored both in the absence and presence of Potassium nitrate (4µM), Ammonium chloride (2µM), and Sodium nitrite (2µM). The pH of the basal medium was adjusted by using the HEPES-HCl buffer (pH: 8, 20 mM). SnCl2 and DMTC stock solutions were neutralized at the time of inoculation. Measurement of Enzyme Activity: Nitrate reductase (NR) activity was measured as described earlier by Monazano et al., (1976) 10. Total nitrate was measured by the method of Snell and Snell (1949) 11. Protein content was measured by the method of Lowry et al., (1951) 12. 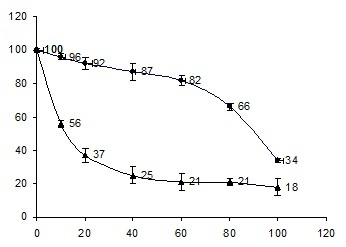 Mn+ dependent γ - glutamyl transferase (L-glutamate ammonia ligase ADP forming) was measured by determining the rate of γ - glutamyl hydroxamate formed mg protein-1 min-1 using the method of Shaprio and Stadman (1970) 13. Data represent mean values of three independent experiments. RESULTS AND DISCUSSION: Growth response of Nostoc muscorum to increasing concentration of both SnCl2 and DMTC (10 - 100µg/ml) was studied under nitrogen-fixing condition (Fig. 1a), as well as under nitrate (4µM), (Fig. 1b) nitrite (2 µM) (Fig. 1c) and ammonium (2µM) supplemented condition (Fig. 1d). Results on the growth revealed a concentration dependent decline in growth under all conditions. Similar result has been reported by Soracco and Pope (1983) 14, where, Tri Butyl Tin Oxide (TBTO) was found to induce a concentration dependent decline in the growth rate of the bacterium Legionella pneumophila. 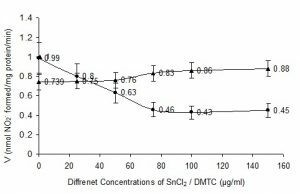 Further results revealed that the growth of Nostoc muscorum was more susceptible to DMTC as compared to SnCl2 as evident from 50% growth inhibitory concentration of SnCl2 and DMTC for Nostoc cells (Table 1). The results conspicuously revealed that SnCl2 was less toxic compared to DMTC both under N2 fixing as well as N2 supplemented condition. Eng et al., (1998) 15 proposed that toxicity also correlates with the total molecular surface area of the compound. In this case, butyl compounds together with phenyl, and pentyl-substituted compounds should be the most toxic, while methyl-substituted OTs are expected to show less effect (White et al., 1999) 16 Mono, di and tri-alkyltins have been shown to be toxic to a wide range of aerobic and anaerobic bacteria 17-20. Studies on the effect of exogenous nitrogen sources on amelioration of toxicity induced by the individual tin species revealed that to some extent nitrite (2mM) provides an increased tolerance to Nostoc muscorum cells against the toxic effect of both SnCl2 and DMTC. The difference in survival fractions of Nostoc muscorum cells towards SnCl2 and DMTC is obviously due to differential toxicity of inorganic and organic tin species. The general order of toxicity of tin compounds to microorganisms increase with the number and chain length of organic groups bonded to the tin atoms, and inorganic tin are known to be less toxic than the organic compounds 16. The activity of NR and GS (transferase assay) was measured in Nostoc muscorum cells as a function of the toxicity of the individual tin species. 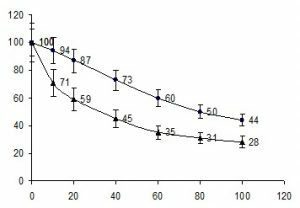 Measurement of NR activity in the cells after SnCl2, (25-100µg/ml) treatment for 48 hr, showed a concentration dependent marginal increase in activity. 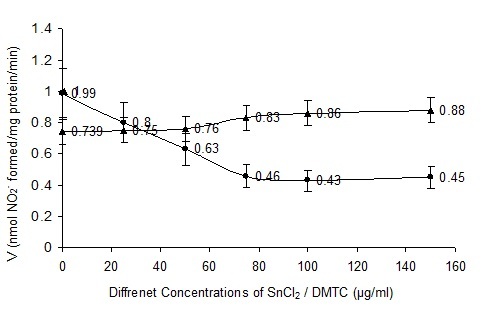 While, DMTC, (25-100µg/ml) induced decline in the NR activity was observed throughout the concentration range (Fig. 2). As compared to NR activity, the GS activity in the SnCl2 and DMTC treated cells showed an opposite pattern (Fig. 3). GS activity in the SnCl2 treated cells initially showed about 1.7 fold increases in the rate. 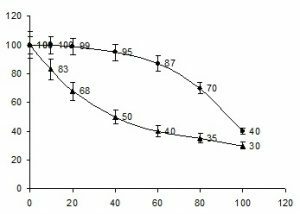 But at higher concentration (25-120µg/ml) the activity declined with increasing SnCl2 level. 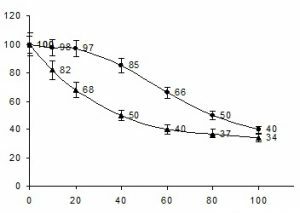 There was approximately 3 fold decrease in the GS activity at 100µg/ml. On the contrary, DMTC treated cells revealed a concentration dependent two fold increase in GS activity at 100µg/ml concentration. Effect of SnCl2 on the two key enzymes of N2 assimilatory system i.e. NR and GS showed a SnCl2 induced marginal increase in NR activity and significant decline in the GS activity. Interestingly, the DMTC treated cells showing a reduced rate of NR activity despite an increased GS activity suggested for N2 starvation like condition in the cells. It can also be further suggested that SnCl2 and DMTC sensitivity in Nostoc muscorum depends upon intracellular nitrogen status. Pesticides like Amitrol, Diquat, Paraquat, Linuron, MCPA, Malathion and Monuron are also known to hamper the N2-fixing potential of the cyano-bacterial cells at higher concentrations 22. Lower concentration of carbofuran increases the heterocyst frequency and total nitrogen fixed by Nostoc muscorum 22. But higher concentrations have an adverse effect on the nitrogen fixing ability of the cyanobacterium 22. Since it has been suggested earlier that GS is regulated by intracellular pool of amino acids, a decline in GS activity in SnCl2 treated cells may be due to direct interference of the inorganic tin species with amino acid metabolism 23. CONCLUSION: Growth of the Nostoc muscorum cells was measured as a function of graded concentration of SnCl2 and DMTC, both in the absence and presence of exogenous nitrogen sources. Results clearly revealed an increased tolerance of Nostoc cells to both in tin species, in the presence of nitrite (NaNO2), next to nitrogen-fixing condition. DMTC induced decline in the Nitrate Reductase (NR) and stimulation in the Glutamine synthetase (GS) activity indicated nitrogen starvation like condition. On the other hand, a vice versa result obtained with SnCl2 suggested for toxic effect of the inorganic nitrogen species. ACKNOWLEDGEMENTS: The authors are thankful to the Head, Department of Environmental Science, Babasaheb Bhimrao Ambedkar University, Lucknow - 226 025, Uttar Pradesh, India for providing the laboratory facilities. RGNF (Rahiv Gandi National Fellowship) awarded to J.S. 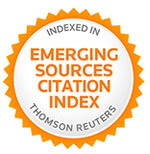 is duly acknowledged. Adriano DC and Chino M: Biogeochemical aspect of lead, germanium and tin. Main Group Metal Chem 1994; 17(1-4): 101-120. Day KE, Maguire RJ, Milani D and Batchelor SP: Toxicity of tributyltin to four species of freshwater benthic invertebrates using spiked sediment bioassays. Water Qual Res J Can 1998; 33(1): 111–132. Singh J and Singh A: Detoxification of organotin compounds by microorganisms: A Review. Indian J Environ Sci 2012; 16(1): 29-34. Brinckman FE, Jackson JA, Blair WR, Olson GJ and Iverson WP: Ultratrace speciation and biogenesis of methyl tin transport species in estuarine waters. In: Trace metals in sea water, Plenum Press, New York 1983. Bokranz A and Plum H: Industrial manufacture and use of organotin compounds. Bergkamen, Federal Republic of Germany, Schering AG 1975; 33. Horiguchi T, Shiraishi H, Shimizu M, Yamazaki S and Morita M: Organic compounds and their effects on aquatic organisms, focusing on impose in gastropods. Main Group Metal Chem 1994; 17(1-4): 81-100. Pawlik SB, Kaczorowska R and Skowronski T: The impact of inorganic tin on the planktonic cyanobacterium Synechocystis aquatilis: The effect of pH and humic acid. Environ Pollut 1997; 97(1-2): 65-69. Gerloff GC, Fitzerald GP and Skoog F: The isolation, purification and culture of blue-green algae. Am Bot 1950; 37: 216–218. Monazano C, Candau P, Gomez-Moreno C, Relimpio AM and Losada M: Ferredoxin dependent Photosynthetic reduction of nitrate and nitrite by particle of Anacystis nidulans. Mol Cell Biochem 1976; 10: 161-169. Snell FD and Snell CT: Colorimetric methods of Analysis. Van Nostrand, Princeton 1949; 3: 785-807. 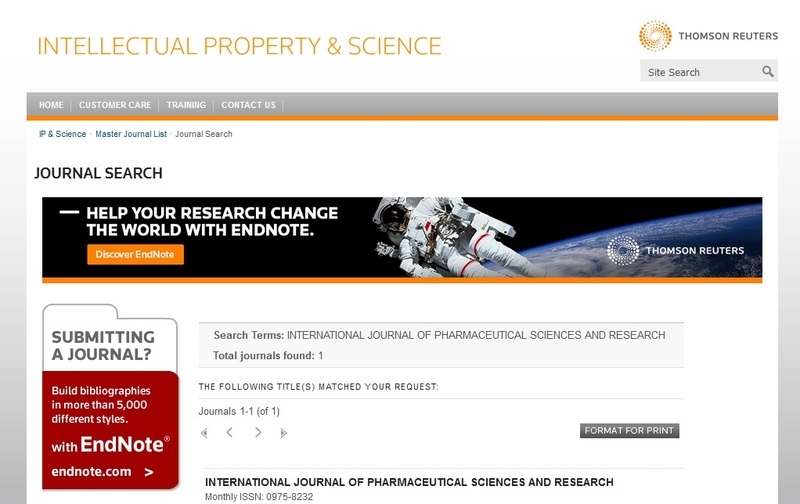 Lowry OH, Rosenbrough NJ, Farr AL and Randall RJ: Protein measurement by Folin-Phenol reagent. J Biol Chem 1951; 193: 265-275. Shaprio BM and Stadman ER: Glutamine synthetase (Escherichia coli). In: Methods in enzymology, Tabor H, Tabor CW (Eds.). Academic Press, New York, London 1970; 910-922. Soracco RJ and Pope DH: Bacteriostatic and bactericidal modes of action of bis (tributlytin) oxide on Legionella pneumophila. Appl Environ Microbiol 1983; 45: 48-57. Eng G, Tierney EJ, Bellama JM and Brinckman FE: Correlation of molecular total surface area with organotin toxicity for biological and physico-chemical applications. Appl Organomet Chem 1998; 2: 171-175. White JS, Tobin JM and Cooney JJ: Organotin compounds and their interactions with microorganism. Can J Microbiol 1999; 45(7): 541-55. Belay N, Rajagopal BS and Daniels L: Effects of alkyl tin compounds on hydrogen oxidizing anaerobic bacteria. Curr Microbiol 1990; 20: 329-334. Cooney JJ: Interactions between microorganism and tin compounds. In the Biological Alkylation of Heavy Elements, in: Craig PJ, Giocking F, (Eds.). Royal Society of Chemistry, London 1988; 92-104. Hallas LE, Means JC and Cooney JJ: Methylation of tin by estuarine microorganisms. Sci 1982; 215: 1505-1507. Pettibone GW and Cooney JJ: Toxicity of methyltins to microbial populations in estuarine sediments. J Ind Microbiol 1988; 2: 373-378. De Silva EJ, Heneriksson LE and Heneriksson E: Effect of Pesticides on blue-green algae and nitrogen fixation. Arch Environ Contam. Toxicol 1974; 3: 193-204. Kar S and Singh PK: Toxicity of carbofuran to blue-green alga Nostoc muscorum. Bull Environ Contam Toxicol, 1978; 20(5): 707-14. Christian FA and Jackson RN: Tate TM Effect of Sub lethal Concentrations of Glyphosate and Dalapan an Protein and amino transferase activity in Psedosuccinea colymella. Bull Environ Contam. Toxicol 1993; 50: 703-709. 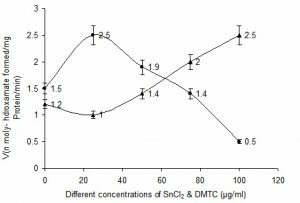 Singh J, Shikha and Singh DP: Comparative evaluation of the effect of stannous chloride (SnCl2) and dimethyltin dichloride (DMTC) on diazotrophic growth and nitrogen metabolism of Nostoc muscorum. Int J Pharm Sci Res 2017; 8(6): 2607-11.doi: 10.13040/IJPSR.0975-8232.8(6).2607-11.